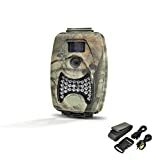 Trail cameras are one of the most versatile cameras as they can be put to the different configuration as per requirements. One can shoot both photos and videos together and there are so many flash options. They are mostly used by the hunters to understand the movements of the animals. 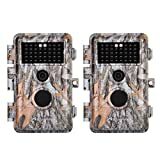 There are so many variants of the trail cameras available on the market that you will be totally confused once you start to shortlist the cameras to buy. 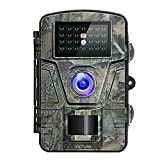 Instead, you can go through the following list of the top 10 best trail cameras in 2019 and select the best one from them as per your requirements of features and purposes. 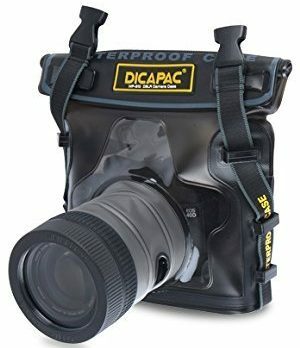 This is a water resistant and it has to capture range of 45 feet. The camera comes with invisible flash in the complete darkness. It has camouflage design such that it will stay unnoticeable. The PIR motion detector is very efficient and you can choose between 5 to 8 MP as per requirement and battery life. It requires 4 AA batteries to operate. 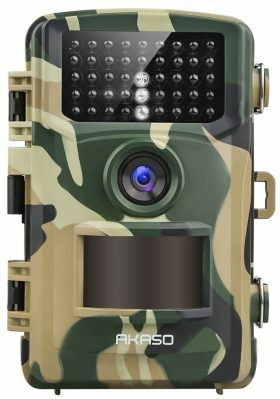 This is a 6 MP camera that is capable of capturing videos at a range of 50 feet. It is programmable and with the burst mode, you can take 1-6 images per trigger. The video interval can be set from 5 to 59 seconds and you can set the timer to capture video for a certain duration of time. With every photo, you get time, date stamp as well as moon phase. The camera has external LCD display and 3D housing. There is test mode and low battery indicator which are very handy. 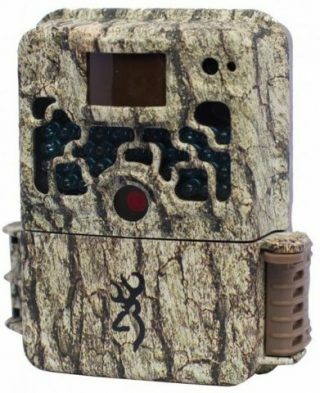 This trail camera features as the best new release in hunting and trail camera. It has 14MP camera sensor that is capable of capturing 1080P video. The photos are also very sharp and there is 2.4 inches LCD screen. There are 42 infrared LEDs to capture photos and videos at the complete darkness of the night. The maximum range is 65 feet. The shooting angle is wide with 120 degrees and the trigger is as fast as 0.4 second. Additionally, it is waterproof and dustproof and comes with protective case. It needs 4 batteries but you can expand that to 8 batteries for extended battery life. 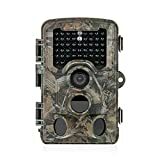 This is an 8MP trail camera and the resolution can be set to 4 and 2 MP. The video recording interval can be 5 to 180 seconds. It covers up to 80 feet and the trigger is very fast at 0.5 seconds. There is blue reduction filter for capturing sharp photos and vivid videos. You can shoot manually and it is password protected. The camera also comes with test mode and capable of capturing HD video. 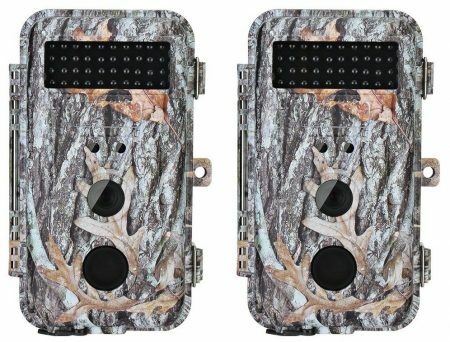 This is a set of two trail cameras of 16 MP each. You can also buy a single set as well as multiple at once. 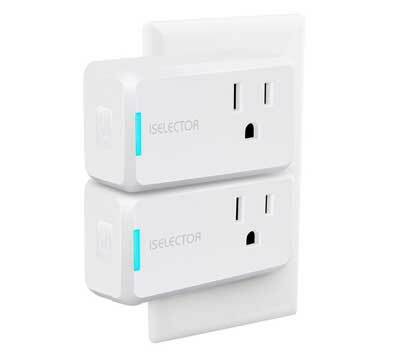 It covers up to 65 feet and it has energy saving mode. Its sensor is trigger by the change in temperature and you can fit up to 32GB SD card. It has an auto power-off option and with 8 batteries, it lasts up to 3-6 months easily. It can do location stamp on photos and you can lock it with a password. You can do multi-recording, time lapse, specify intervals. 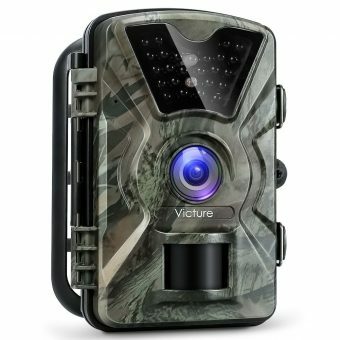 This is a very sturdy trail camera with 12 MP sensor and it comes with multi-shot mode to capture photos as well as videos simultaneously. 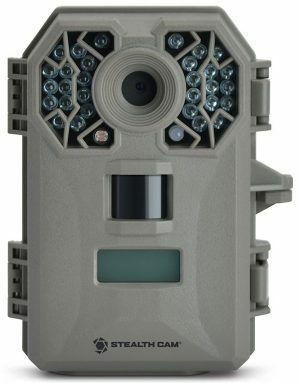 Its trigger range is 65 feet and there are 26 infrared LEDs for night mode shooting. 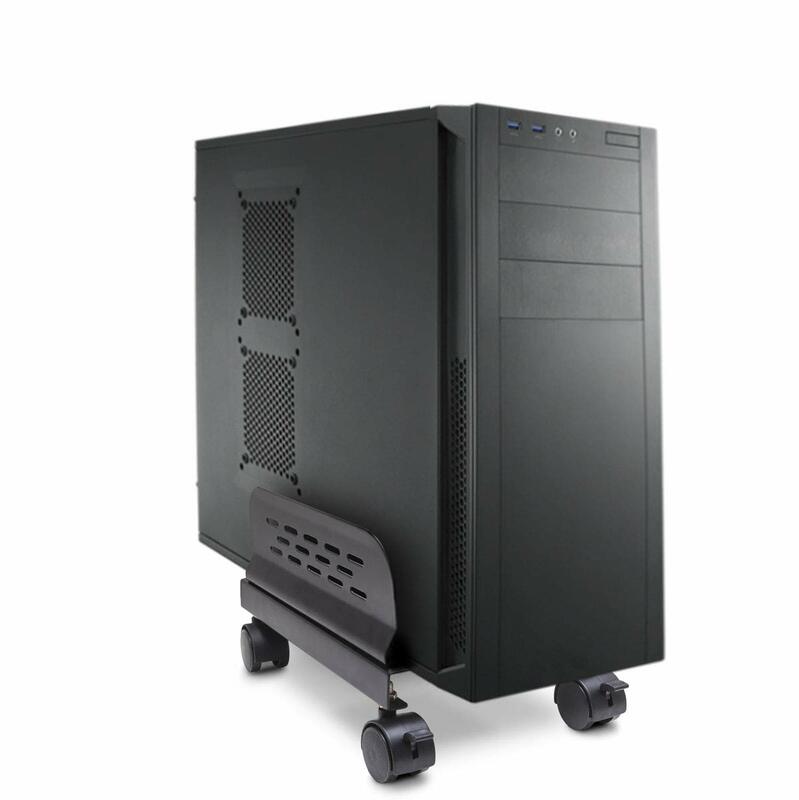 The trigger speed is very fast and the power consumption is relatively low. It is tailor-made for rough and tough conditions. Apart from time and date stamp, you can do pressure and temperature stamp and do a real-time replay. 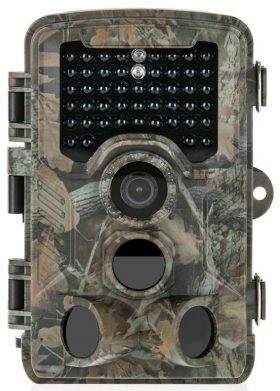 This trail camera is capable of capturing Full HD 1080P video. It has 12 MP camera with 2.4 inches external LCD display. It takes three photos upon detection of movement. The trigger time is 0.5 second and the trigger range is 65 feet while the IR blast range is 40 feet. 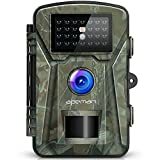 It has all the standard features like multi-shot, interval recording, time lapse, password protection and it alarms you when the battery reaches its lows. 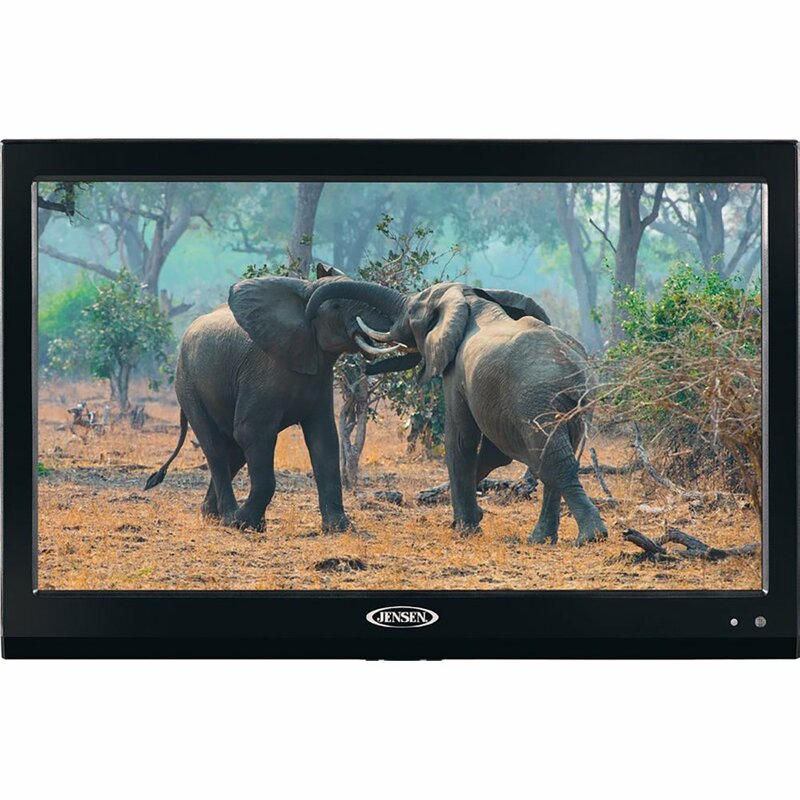 It is waterproof and suitable for all the different outdoor surveillance activities. 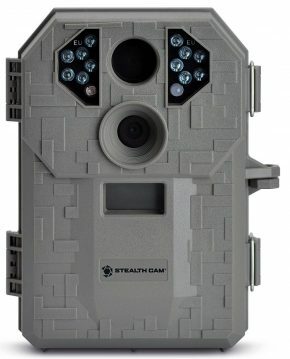 This is a trail camera with wide range shooting. It covers up to 120 degrees angle and the trigger speed is 0.6 second. The camera is 12 MP and it can capture Full HD videos. 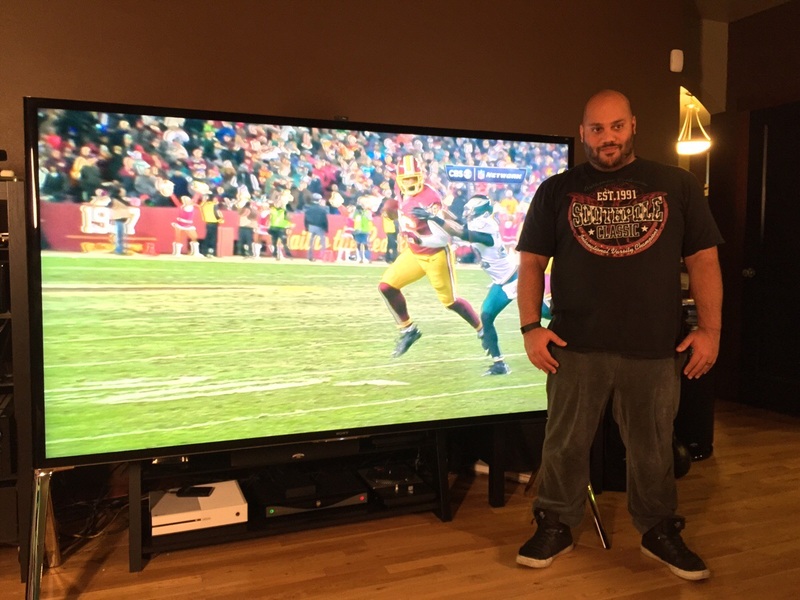 The clarity and sharpness are extremely good and the detection range is 80 feet. 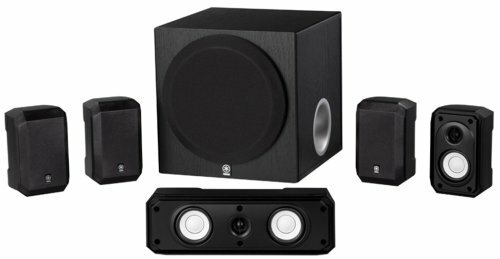 It is very user-friendly and highly durable for all activities. 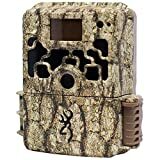 This is a perfect camouflage trail camera which is capable of capturing videos with audio. The interval range can be from 5 seconds to 2 minutes. The best part is that its trigger range is as much as 100 feet. It requires 6 AA batteries to operate and there is an external LCD screen for manual controls. There are various useful modes available and the construction is quite sturdy for better durable and wide range of applications. 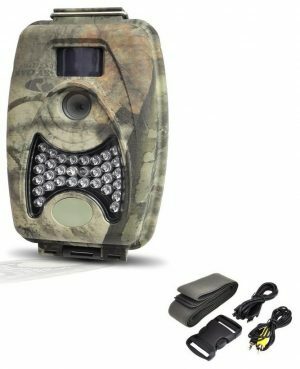 This is the bestselling trail camera with superior night vision even at extremely low light. The camera has 100 feet range and the flex trigger time is 0.5 seconds. The burst mode enables capturing one to nine images per triggering. The camera has manual shooting capability and there is secure lock password protection. The maximum capacity of the SD card can be 32 GB. Furthermore, there is intuitive backlit menu option and the retina low light sensitivity makes it so popular. 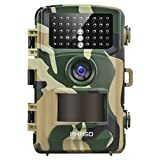 It captures video clips of 4 to 180 seconds along with audio. You can set it from 2MP to 10 MP resolution. 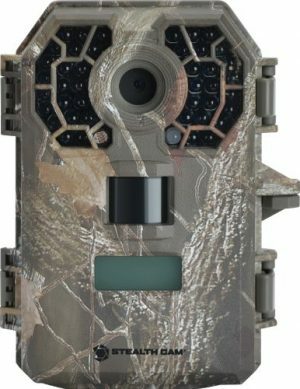 All of the above-mentioned top 10 best trail cameras in 2019 have superior performance. Before buying make sure you check the specifications like mega-pixel resolution, lighting conditions compatibility and shooting range so that it can suit your requirements perfectly.